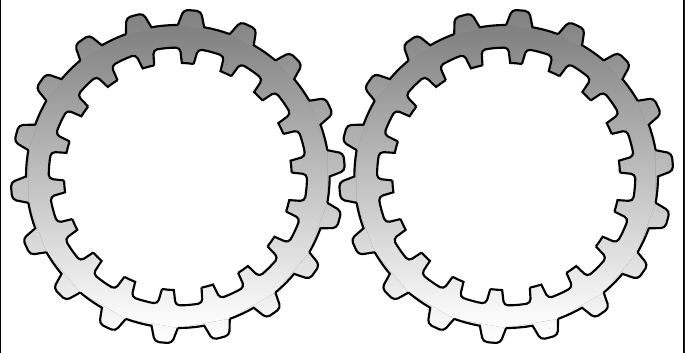 I'm using the macro provided by Alain Matthes in Creating gears in TikZ for drawing a single gear with some modification to obtain the "double gear" effect (i.e. an inside/outside gear). to move the second gear left/right i've put the gears in a \matrix so that I just need to copy the code from the first gear in the second cell of the matrix and specify a column sep such that the gears are at the desired distance. This method however doesn't work anymore when you add a third gear that needs a different column sep.
to move the second gear up/down so to obtain the effect of the first image I tried with xshift and yshift options in \draw (that is how i got the first image) but it's a lot of work and requires many recompilations. Is there a better way to move a gear (where a gear consist in two \draw and two \node commands, as shown in the code) to the left-right-up-down with respect of the other without having to manually positioning it with xshiftand yshift? How to chain two or more gears shifting their position like in the first image? Here is a starting point and just one of many ideas how to input the data. <next gear’s radius> specifies the next gear’s radius. Well, hear is a new gear (\ngear[<options>](<point>)) and a try on an output. 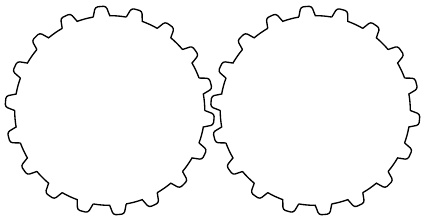 The combination of gears involves a little bit of math as number of teeth, the width of these teeth and the rotation are dependent of the previous gear and its rotation. You can hijack the \qrr@tikz@do@nextgear@ and insert needed calculations for the next gear on your own. %   outer outer radius=.4pt, rounded corners? 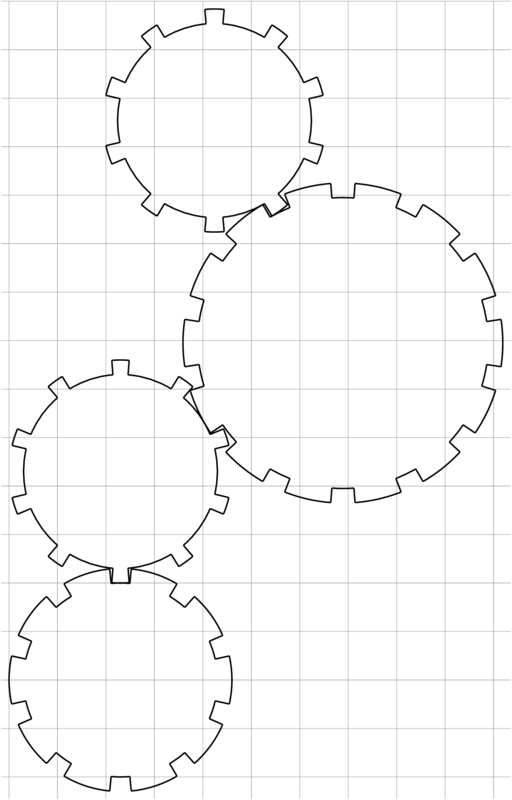 How to find location of position of nodes in TikZ graph automatically to use?